People make this so complicated, its really pretty simple. Wizard is, in my opinion, the best DPS class in-game right now. It has the best skills of the DPS classes with good cast times, range, and lots of AoE powa. Speed build – is possible for wiz, but considerably less damage – put about 50 points in speed then go full damage, and use the speed-type armor. Spam meteor and the 25% damage bonus! 1. 40 HP then full def – perfect for general survivability, about a 20% hp bonus and later allows for great def. Ignore people who tell you “later game blah blah dont need def because you can cap with fortified equipment” it’s dumb. First of all getting to that fortification requires a few months of farming or a good 500$+ dropped on scrolls. Also even with capped def, you still don’t have enough of it. 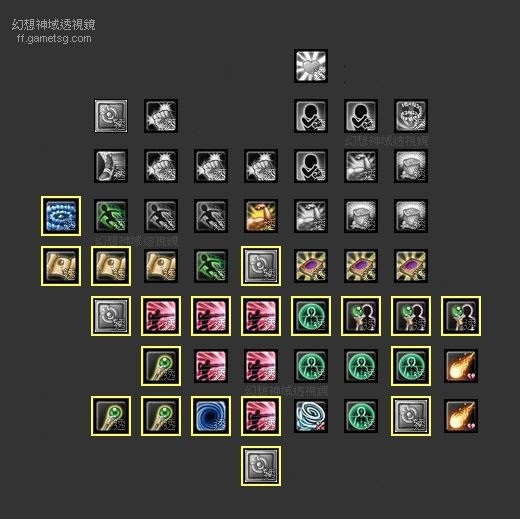 Every class has 1 or more skills which reduce your def, not including the tactical which is so overused. You want the equivalent of 95% defense, even though the percent value only goes up to 75%. 2. Full hp build – the only reason to do full HP is for the PvP, when you dont have a bard on your team full HP is better than def, simply because the % hp per point is a larger amount. Huge hp numbers also make you look pro! -For envoy path you dont need to leave the bottom half. 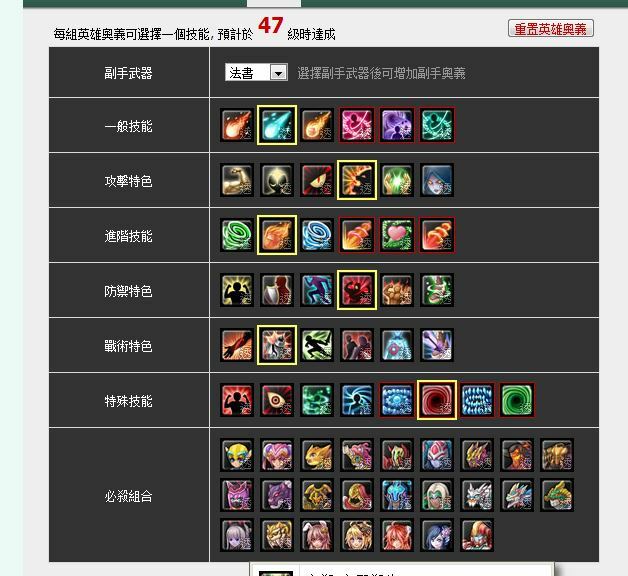 Take all secret stones with secondary skill effects by this I mean the stones which have 4 bonuses on them, secret stones are sold by the CLASS MASTER npc’s in navea. The stats on secret stones aren’t that complicated, note that there are stones with 3 stats, and stones with 4 stats. 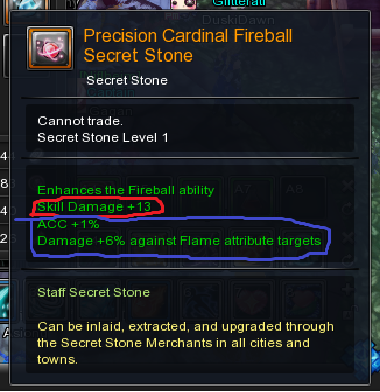 The last two stats on any given stone are overall stats, they affect everything you do. These are the stats that are randomized on every stone. 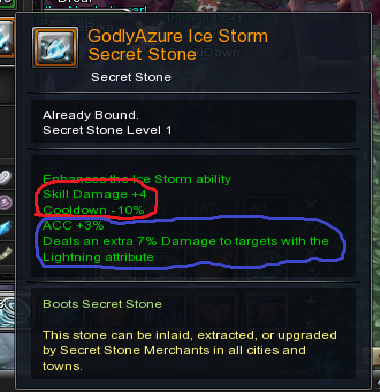 Any stats above those two are specifically for the skill named on the stone. 3-stat stones will have a bonus damage for that specific skill and the two overall randomized stats. 4-stat stones will have a smaller damage bonus along with a secondary skill bonus (such as range +5m or crit dmg +15%) and then the two overall randomized stats. The bonus damage amount on either stone type isn’t that huge, which is why you want the 4-stat stones. You will have to buy and sell each stone quite a few times to get good stats. For now as wizard class, you want 5 stones with +3% accuracy as one of the overall stats (the other one can be whatever) and 2 stones with +6% crit damage (again, other stat doesnt matter). You will have to buy a grimoire stone and a belt stone from the sorceror class master. You know all those little stones that have some minimum +dmg amount and drop from all mobs? You feed those to your orange-stones and it levels the damage bonus for it. The top 2 stats circled in red affect the only the snowstorm skill, while the 2 blue stat affect your character overall, every skill. Note the 3% accuracy bonus. 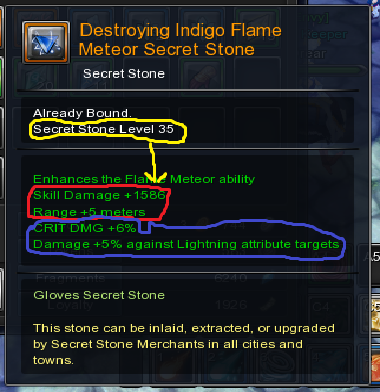 The 2 stats circled in red affect only the meteor skill, the two circled in blue affect your character overall, every skill. Note the 6% crit damage bonus.